Good morning everyone! 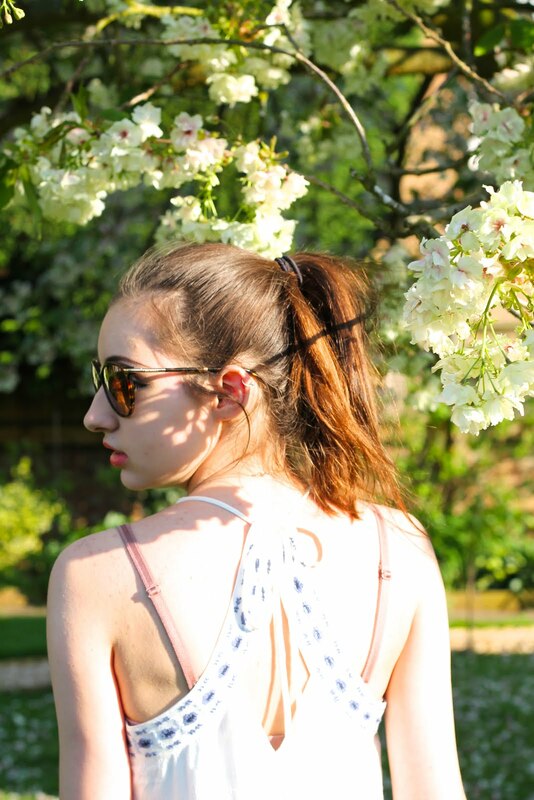 It is such a lovely day today in sunny old England so I thought I'd shoot a few pictures outside. Honestly I'm so happy with the way this photography turned out - natural lighting is just so stunning! Anyways. 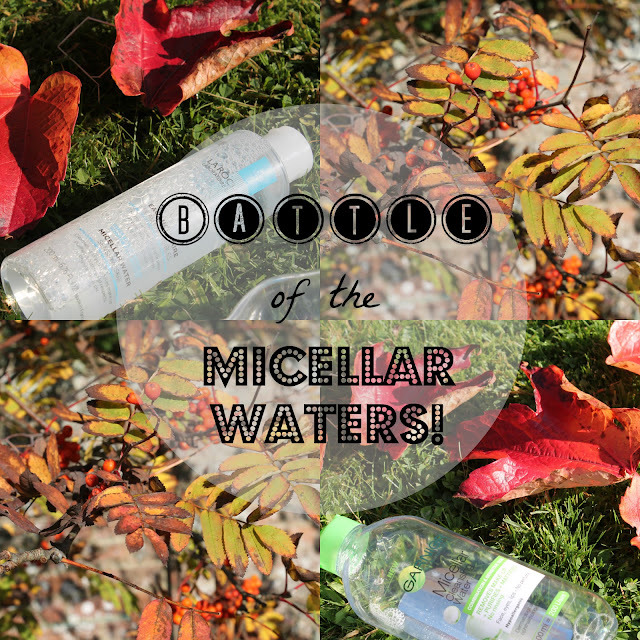 Today I wanted to discuss something with you guys that is quite close to my heart: Micellar water. I first discovered these back in august 2014 pretty soon after the first of the Garnier ones began to gain some hype. As someone who doesn't like using makeup wipes I needed something that was going to take off my makeup and not leave my face like an oily mess. Micellar water sounded lovely. It also sounded like something I couldn't pronounce but nonetheless a fabulous product. For the past year and a bit I've been cleaning my way through four bottles of various Garnier formulas however when I was last in Boots I saw the La Roche-Posay one, for some reason just knew I had to have it. It retails at £11 so it's not at the budget end of the spectrum like the Garnier (£4.99) but it's not a bank breaker either. So I decided to try it and share my thoughts with y'all as to how I got on with it. This cleansing water really doesn't have a scent at all. It's super gentle and as it claims to be hyperallergenic I'd presume this is why. The first thing I noticed when I opened the bottle was the smell. It's a gorgeous lemon citrus scent that's not too overpowering but still smells fresh and clean - lovely! With this one, you get a lot more bang for you buck. The bottle is 400ml as opposed to 200ml and as you only need a few splashes per day I've found that these last me about four months or so. The actual product is similar to splashing a softer kind of water on your face. It's non greasy (big thumbs up) and does remove all my makeup, including mascara and eyeliner. As I've only had this for a few days I can't say how long the bottle would last me however as it is half the size of the Garnier I'd have to say probably two to three months or so. Again the formula is non greasy but I do find it harder to get a good sized amount onto a cotton pad due to the dropper style of the packaging. In general this takes of my makeup equally well as the Garnier one. When I first started using this I was still suffering from light acne. I definitely went through the spots stage in my early to mid teens and whilst it was never atrociously bad I'm glad I got it over and done with early. I do think this product was one of the first things that helped get my skin back on track. I remember noticing less breakouts and my skin in general felt a lot healthier. Massive 5 stars in terms of formula - for me this is for sure a product worth the hype. I've been using this for three days now and I've got to say i'm a little disappointed. I woke up on Saturday morning with a spot on my cheek - which hardly ever happens to me now - and since I've changed nothing else in my skincare routine, I've got to put it down to this. I might persevere for a bit longer as my skin sometimes doesn't react well to new products but if not, this micellar water might be making a trip into my sisters bedroom! For me, on this one the winners got to be the Garnier. I'm usually a firm believer of you get what you pay for, but in this case, the budget buy wins hands down! Thanks for reading my loves, let me know if you've ever tried any of these products and what you thought of them! Beauty Haul: Selfridges & Boots! 5 Things You Don't Know About Me!